GCtronic is active in the fields of electronics, robotics, mechatronics and computer science. It proposes services and consulting for development of projects, products, software and system integration. The company sells and supports its own products as well as third party ones. The main expertise is project development and integration; from the global problem to the final solution! February 2019. GCtronic will present the new Pi-puck extension and many others products at the European Robotics Forum in Bucharest, 20-22 March 2019. See you soon. December 2018. Good news on the e-puck2 software side: the Bluetooth and WiFi branches of the main microcontroller firmware were merged. Also the wiki is expanding with many useful informations for the users. July 2018. 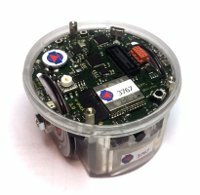 The e-puck2 software development is continuously expanding the robot features: now the WiFi communication is supported, you can control and receive sensors data through WiFi. For more information refer to the wiki. April 2018. The e-puck2 is going well, more than 100 robots are already employed on the field. Hurry up because the launching price of 700.- is valid until the end of April, then a single robot will cost 850.- and starting from a set of 3 robots the price will be 800.- each. January 2018. The new version of the widely used e-puck robot is here...the e-puck2 has same shape and mechanics but a more powerful controller, USB, Time of Flight sensor and WiFi to name a few. For more information visit the e-puck2 robot product page. It was designed by the Swiss Federal Institute of Technology in Lausanne (EPFL) in collaboration with GCtronic. October 2017. Now it is possible to simulate the e-puck robot with your preferred browser thanks to the wonderful job done by Cyberbotics. Have a look at https://robotbenchmark.net/ for more informations. May 2017. 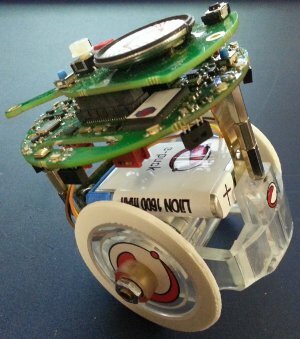 The Wheelphone robot, among others applications, can be used as a telepresence robot. By exploiting Skype and by installing a specific application on the phone, you will be able to reach your Wheelphone from all over the world. For more information refer to the wiki. November 2016. 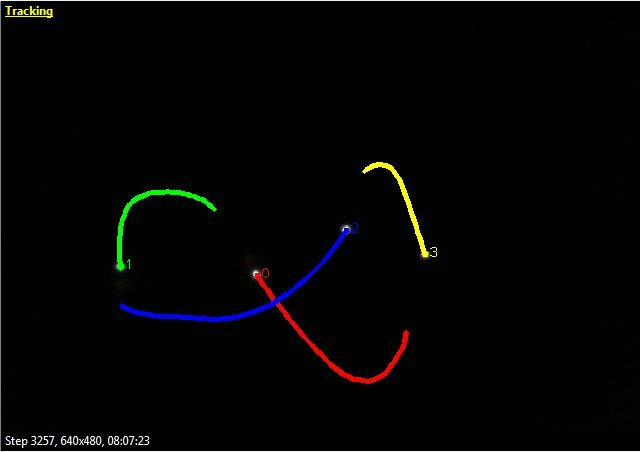 The on-board camera of the e-puck robot can be used to make cool things, one of these is following a colored object as showed in the demo "runfollowball" contained in the e-puck library. This demo was updated to be compatible with the newer camera mounted on the robot. October 2016. GCtronic will take part at the Swiss Robotics Industry Day at EPFL. November 2nd. On display we have our 3 robots e-puck, Elisa-3 and Wheelphone. Elisa-3 will also move vertically in the Autonomous Robot Painting. Additionally we will present the ETCH Clock, now ready to sell. August 2016. 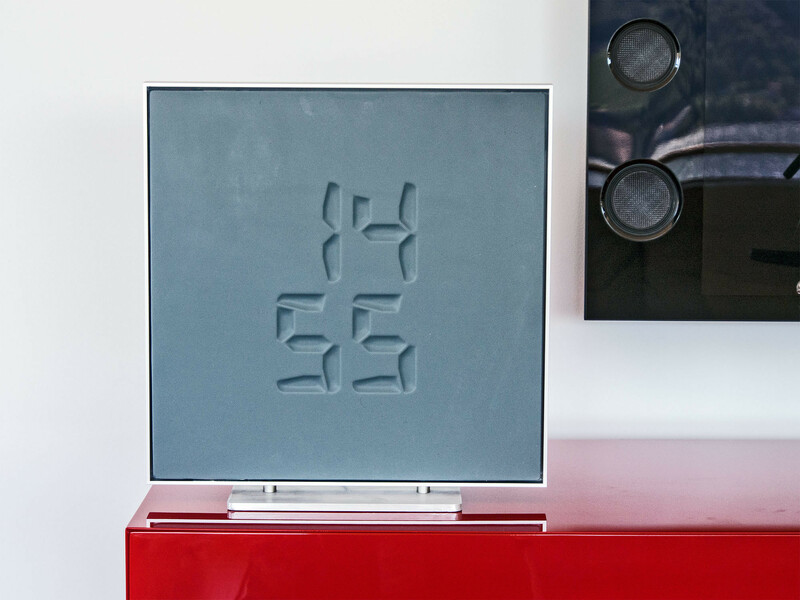 The eTCH clock is now available for pre-order, have a look at www.etchclock.com for more information. July 2016. The e-puck charger (single battery) has been upgraded: you can now charge your batteries in about half the time...and at the same price. You can order the high speed charger from the shop. June 2016. After a long technical development in cooperation with 42Foundry, we are proud to show you some preview of a 3D MAGIC WATCH: eTCH wall, engraving time! video. Soon on presale!! May 2016. A new set of nice features of the elisa-3 robot are now available for the Aseba environment. 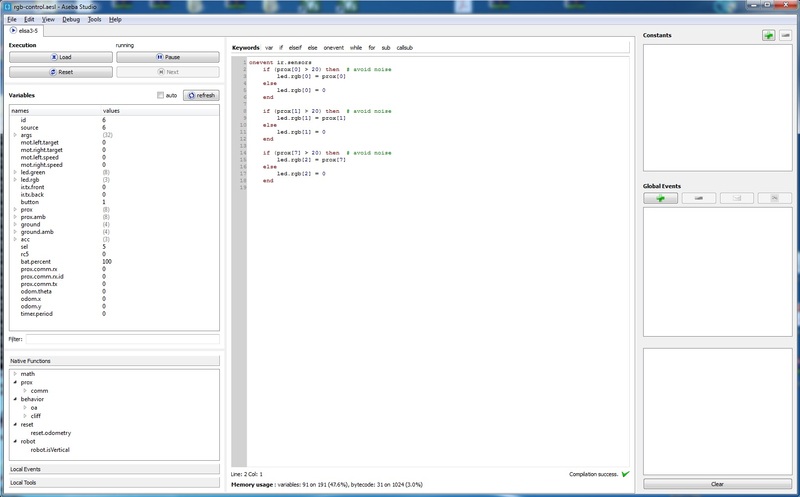 To start playing easily with elisa-3 and Aseba we created a video tutorial. April 2016. 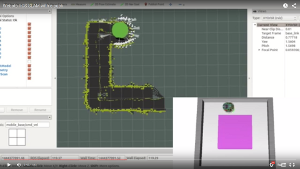 To ease the setup of the elisa-3 tracking set we created a video that shows all the required steps, including the assembly of the arena, the cameras configuration and a demo showing the position control of one robot. March 2016. GCtronic participates to the European Robotics Forum, 21-23 March, Ljubljana. On the booth will be presented the new graphics of the Autonomous Robot Painting together with all the robots designed by GCtronic. February 2016. 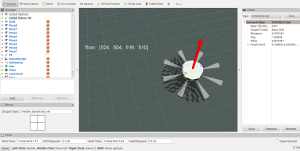 A new version of the calibration application for the Wheelphone robot is available in the wiki. This version includes images to better explain the calibration process. January 2016. Both the e-puck and elisa-3 robots are compatible with Windows 10. Refer to the elisa-3 library section of the wiki for more information. The e-puck monitor was tested in Windows 10 and an updated version of the bootloader is available in the wiki to update the robot firmware in Windows 10. December 2015. Christmas is coming and you had no time for the gifts...what to do now? You have two solutions: either go crazy in various shops or buy this great tech gift (shop). You'll for sure amaze your relatives, friends or partner with this gadget mixing art and techonology...moreover you'll have some time to relax yourself. Here is a video. For more information refer to the product page. November 2015. The fans of the e-puck robot and Arduino can now merge their projects in a single awesome project by connecting together the e-puck and Arduino. 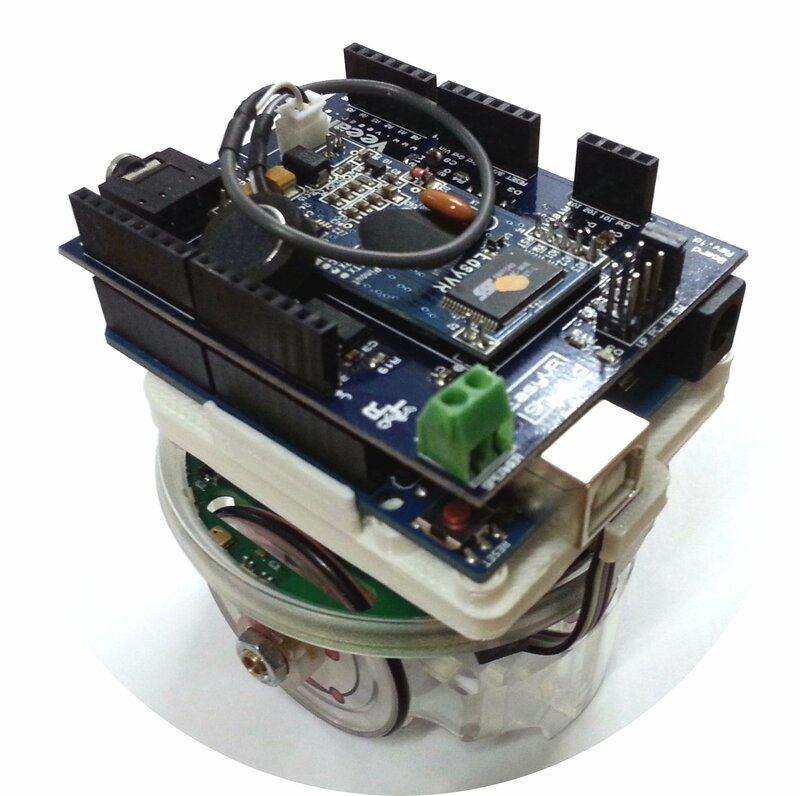 The big community around Arduino and the vast availability of shields let you extend the e-puck robot basically limitless. You can for example control the e-puck with your voice (video). For more information refer to the wiki. November 2015. If you want to experiment and improve your skills in PID controllers, now you can do it by trying to self balance the e-puck robot; you'll need only a few mechanical modifications. It is not for the faint of heart :-). For more information refer to the wiki. Elisa-3 ROS October 2015. The work with ROS continues: the Elisa-3 robot is able to do SLAM on a vertical wall, here is the video; for more information refer to the wiki. 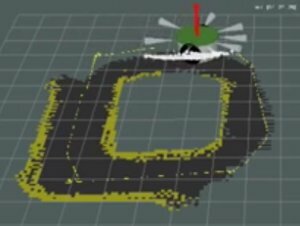 Moreover you can simulate the algorithms developed for the e-puck with Webots and ROS, for more information visit the wiki. August 2015. ROS & e-puck. 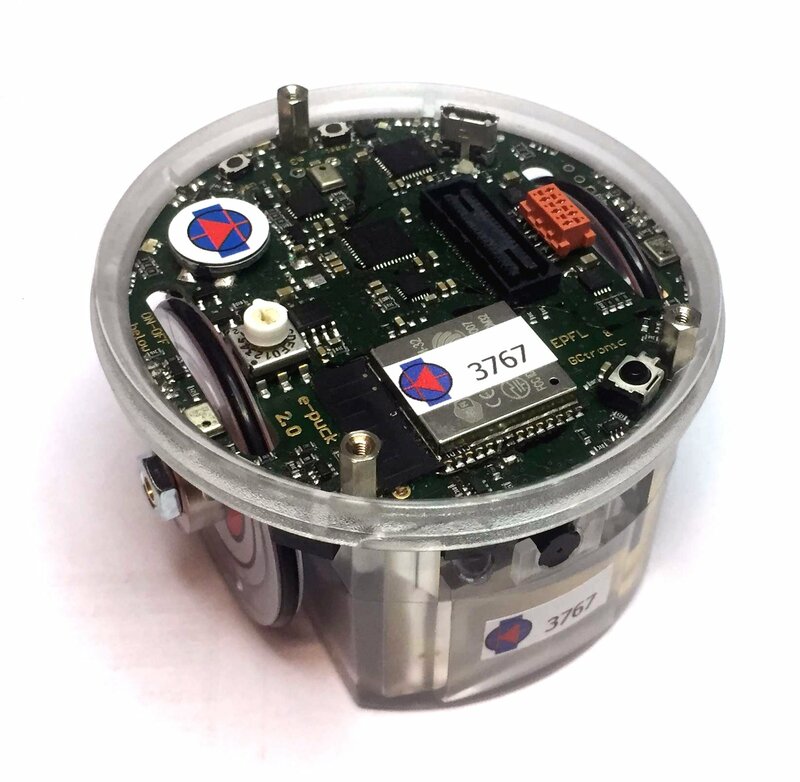 We propose the ROS (Robotic Operating System) framework to work with our e-puck robot. Exploiting the packages available from the community, we demonstrate SLAM (Simultaneous Localization and Mapping) with e-puck. Go ahead and let's grow the capabilities of e-puck and map also your office ;-). For more information refer to the wiki. July 2015. Python is a widely used programming language supported by a large and comprehensive standard library. A Python library is available for the the e-puck robot, you can start playing with it following the guide in the wiki. You can find others software tools available for the e-puck robot in the following link. June 2015. 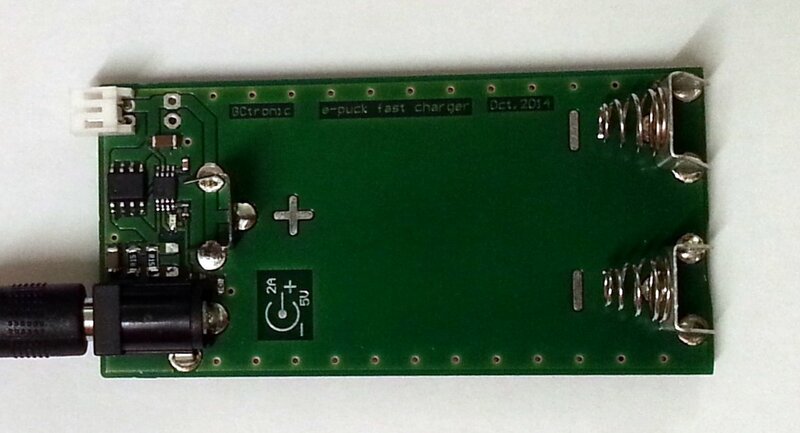 An interesting project concerning the set "e-puck + gumstix extension" was developed at LIRMM / Universit� de Montpellier. 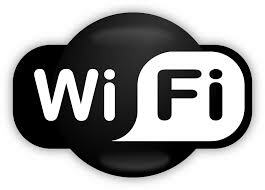 Basically the e-puck tracks a circle and the camera image is transferred to the computer through WiFi. You can see the robot in action in this video. Moreover you can have access to the report and to the code. May 2015. Aseba is a set of tools which allow novices to program robots easily and efficiently; it is developed for Thymio robot and now is available also for the Elisa-3 robot. You can start playing with this IDE following the information in the wiki. April 2015. A nice semester project regarding the Wheelphone robot was developed at the Faculty of Informatics (Universit� della Svizzera italiana). The aim of the project is to use the Wheelphone to navigate in an indoor environment using an iPhone. For more information refer to the wiki page where you can find the report, code and a video. March 2015. 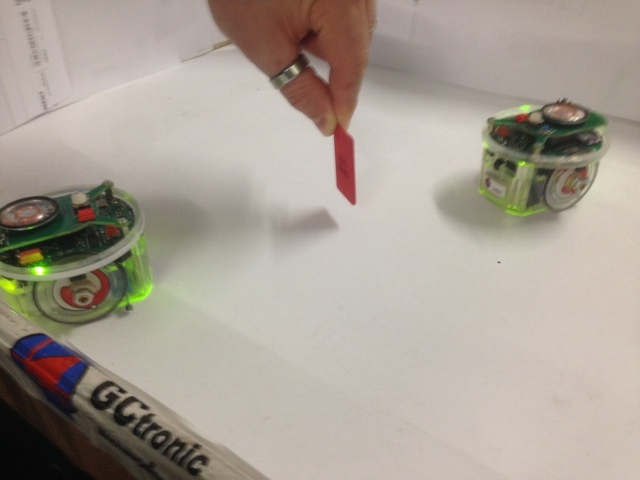 GCtronic is continuing the long term support of the e-puck robot. The last produced batch (e-puck revisions) has a new accelerometer with even a 3D gyroscope, battery level measure, an updated camera and microphone. All is compatible with the old software/hardware versions and the library is updated and available on GNA and our wiki. December 2014. 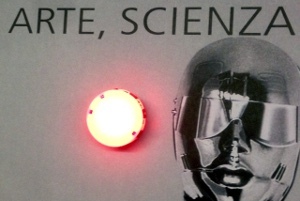 ART and ROBOTICS ! 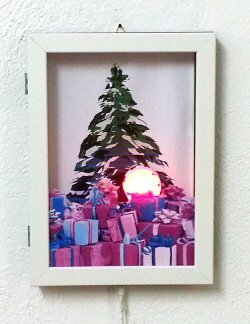 This new product combines our small robot Elisa-3 with a picture frame that you can hang on a vertical wall. 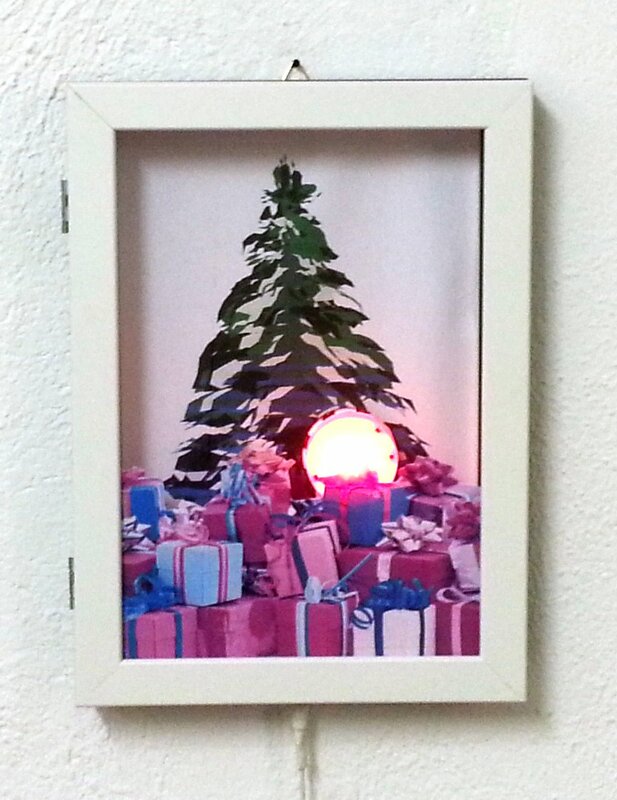 Dances, light show, music, geometric figures, automatic charging, all in a compact dynamic picture frame. For more information refer to the product page and the wiki page. November 2014. The Elisa-3 robot is now equipped with infrared local communication to let the users develop their swarm algorithms. 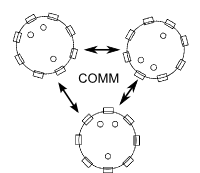 For more information refer to the Elisa-3 wiki page: Elisa-3 local communication. October 2014. GCtronic is supporting the realization of the hicon social bangle that now has an improved new design and is equipped with an OLED display to visualize the notifications. You can order it with an initial special discount: https://www.indiegogo.com/projects/hicon-is-all-your-social-networks-made-wearable#home. September 2014. Our small climbing robot Elisa-3 participates at IROS in Chicago at the boot of our US distributor Roadnarrows. IEEE/RSJ International Conference on Intelligent Robots and Systems, Chicago, Illinois, Sept. 14�18, 2014. August 2014. Sindex is the biggest technology exhibition of Switzerland. GCtronic will be part of the show with the partners F&P Personal Robotics and BlueBotics within the Swiss Mobile Robotics Consortium. July 2014. A versatile joystick for animation artists. 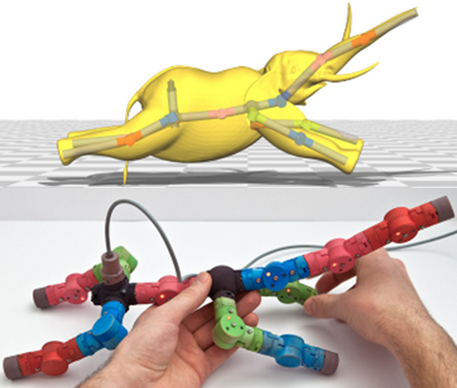 GCtronic participated to this project "puppet" done at ETH Zurich, Institute of Visual Computing, Prof. Dr. Olga Sorkine-Hornung and her group. Several media reports: ETHZ, Wired. June 2014. "hicon, the social bangle" is a new product that GCtronic helped to create. You can customize your hicon bangle with your preferred icons. It informs you with a gentle vibration when you get a call, a message or a notification from a social network (Facebook, twitter, LinkedIn, ...). hicon looks for nearby people with a matching profile and your same passions. You can already order it with a huge discount: https://www.indiegogo.com/projects/hicon-smart-wristband-social-bracelet-with-interchangeable-social-network-icons. Mai 2014. GCtronic contributes to the ETHZ project "climbing robot for corrosion monitoring". A robot climbing bridges and other concrete surfaces. March 2014. GCtronic participates to innorobo, 18-20 March, Lyon-France. On the booth will be presented the e-puck and related extensions, the Elisa-3 robot and the Wheelphone. All robots will be available for shop directly at the event. February 2014. 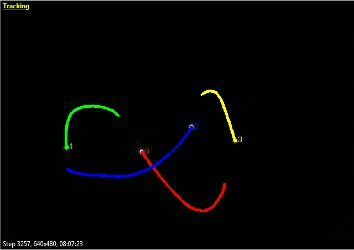 GCtronic designed a full system to track the position of an Elisa-3 fleet with an IR overhead camera. The tracking set (2 camera, mechanical frame, robots, ...) is available in the shop. For more information refer to the wiki. January 2014. 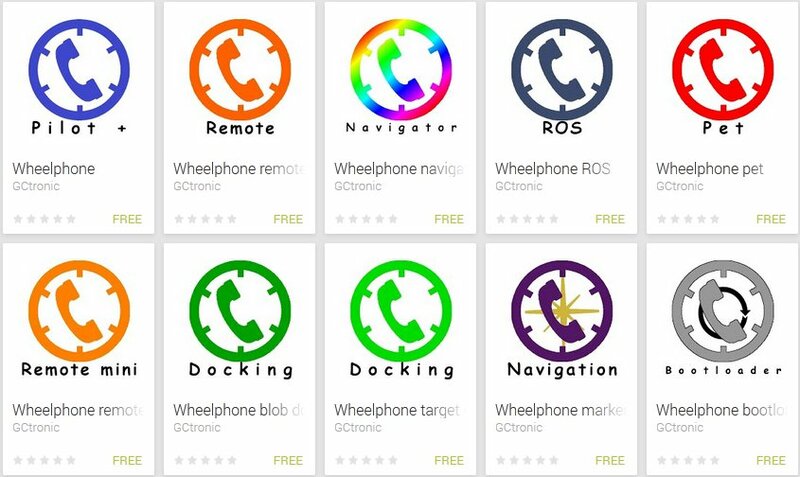 The number of application is growing, the Wheelphone robot reaches 10 apps on the Play Store. Also the firmware was reviewed and a new update is available, refer to the wiki for detailed information about the update procedure. December 2013. The Wheelphone robot can be used to navigate from one room to the other using some tags as reference. Moreover it can charge itself thanks to the docking station. Have a look at the video; the source code of the demo can be downloaded from the wiki. November 2013. GCtronic at "La Maison du Mieux Vivre", Paris 5-7 December. Within the Trade Show for lifestyle and homecare services (www.salon-services-personne.com), the Living better house � La Maison du Mieux Vivre � promotes technological and robotics solutions for assistance, well being and security to people. October 2013. GCtronic participates to the International Robot Exhibition (IREX) in Tokyio next November 6-9. The exhibition is in parallel with the scientific conference IROS. On display we have our compact robots including Wheelphone with new applications. September 2013. During summer holidays a bunch of new applications for the Wheelphone robot were developed: transforms for example the Wheelphone in a pet robot, it will have to follow you or maybe do you need an animated alarm, for sure the Wheelphone will compel you to wake up. Visit our wiki for more apps. June 2013. 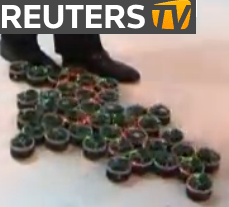 Reuters interview and demo of Prof. Roderich Gross using a swarm of robot e-puck provided by GCtronic, link.